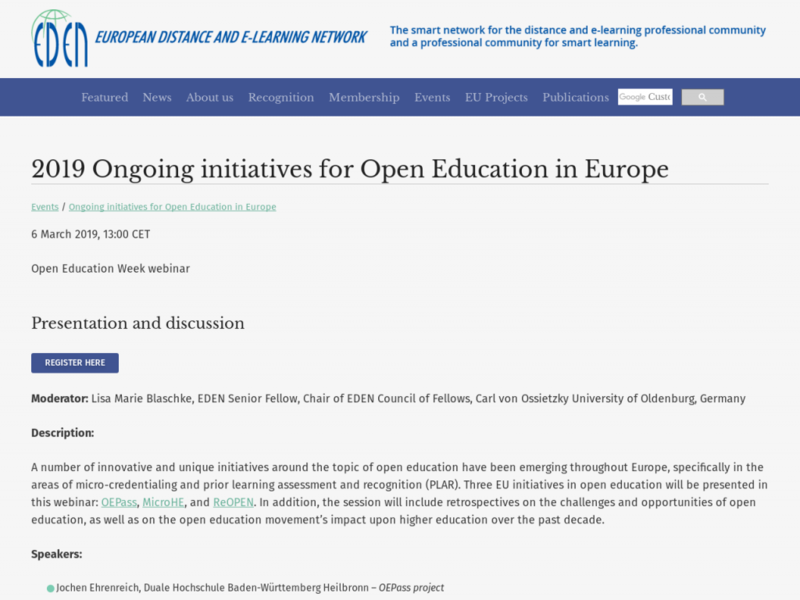 A number of innovative and unique initiatives around the topic of open education have been emerging throughout Europe, specifically in the areas of micro-credentialing and prior learning assessment and recognition (PLAR). Three EU initiatives in open education will be presented in this webinar: OEPass (https://oepass.eu), MicroHE (https://www.k4all.org/project/microhe/), and ReOPEN (http://reopen.eu). In addition, the session will include retrospectives on the challenges and opportunities of open education, as well as on the open education movement’s impact upon higher education over the past decade.